BELIEVE International is a non-profit 501(c)(3) tax-exempt organization (Tax ID#: 26-0025823). Your contribution is tax deductible to the extent allowed by law. Creating opportunities for them and their families to learn and internalize positive core values and leadership skills. Our volunteers meet monthly with students and their parents, teach them positive social values and encourage them to live and practice these in their homes. We focus on these values: Trust, Excellence, Accountability/Self Reliance, Mutual Respect, Service, Maintaining Positive Family Relationships, and Leadership. BELIEVE International (USA) and BELIEVE-Philippines are run by unpaid volunteers at all levels. These successful business and professional people freely donate their time and talents to help lift sponsored youth out of poverty. The volunteers in America provide the overall direction, training, and fundraising. Because BELIEVE is a totally volunteer organization, essentially all of the donations received are sent to the Philippines to support the education of sponsored students. A Profiles in Caring TV crew visited the Philippines in 2007 and documented some of what BELIEVE does. This photo was taken in front of the active Mayon Volcano, in one of the areas where BELIEVE operates. 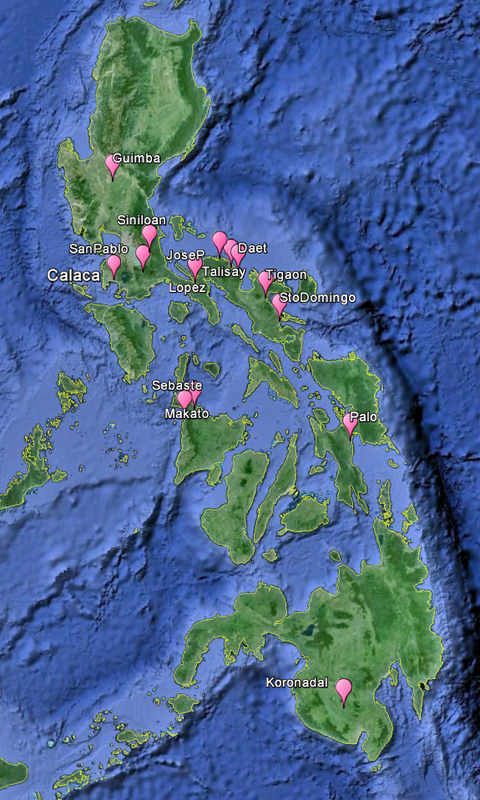 The map below shows the areas of the Philippines where BELIEVE currently sponsors students.